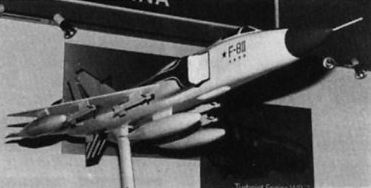 The Nanchang A-5 is another of the military aircraft featured in the Chinese exhibit at Farnborough, with details of the A-5M for which Aeritalia will provide new avionics. 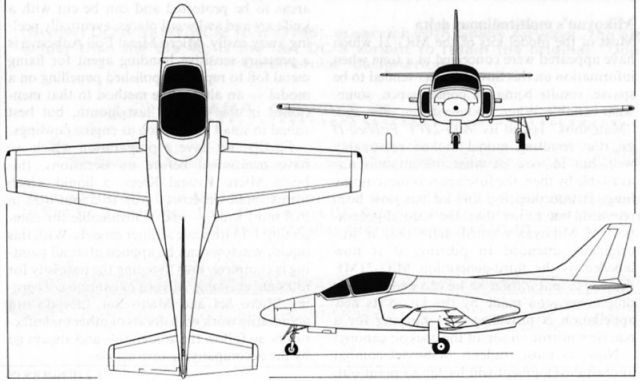 This illustration shows the earlier A-5 III. Making its first appearance at a Farnborough International, the Chinese aircraft industry dis­played models and photographs of several of its military and commercial products. 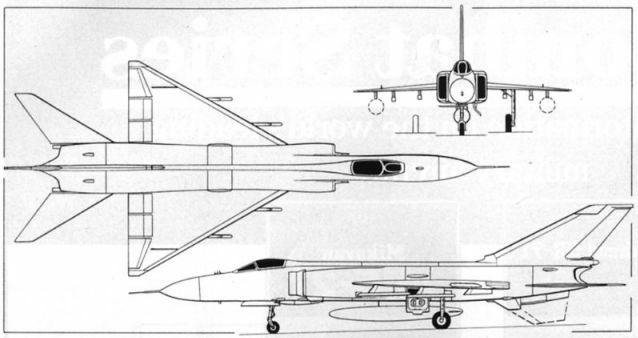 Of particular interest was the latest version of the Shenyang J-8 fighter, which as the J-8B (or F-8II) features a new front fuselage and lateral air intakes for its two Chengdu Wopen-13 turbojets, as shown in the three-view drawing. Finland's Valmet brought its new L-90TP Redigo to Farnborough, to demonstrate its aerobatic qualities and to stress Valmet's interest in the market for lightweight turboprop trainers. First seen at Farnborough in 1984, soon after it had begun flying with an operational antenna, the AEW Defender has now been fully developed by Pilatus Britten-Norman, and is to begin a world­wide tour in January 1986. The Thorn-EMI Skymaster in the Defender is one of the most modern AEW radars flying, with dual capability for use over land and sea. 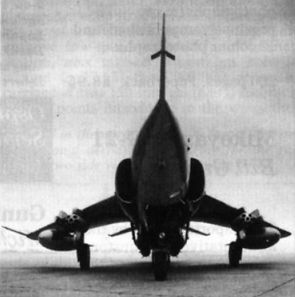 Just visible (between the mainwheels) is the fairing over an APU on the starboard side of the fuselage; in production aircraft, the APU would be repositioned internally. 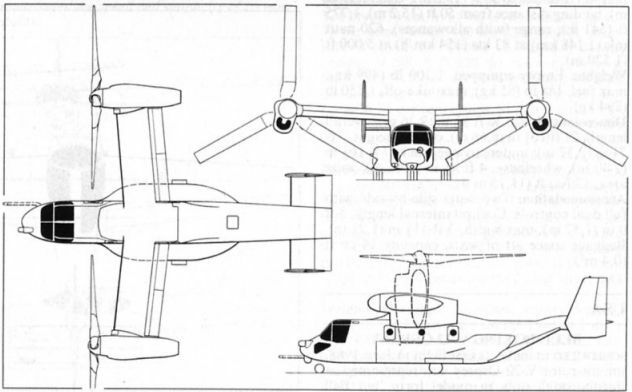 Progress with the Bell-Boeing V-22 Osprey was reported in some detail at Farnborough as the programme proceeds towards a scheduled first flight in June 1988. 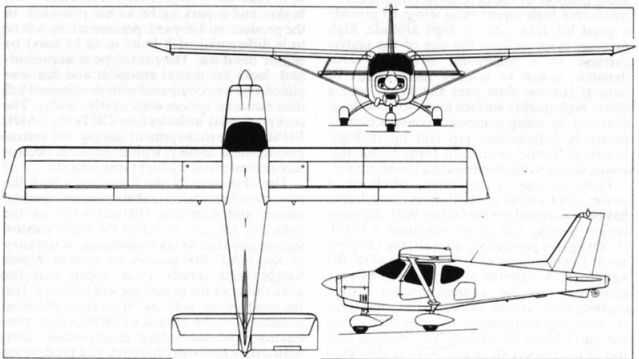 The impression shows the MV-22A configuration. De Havilland Canada's new sister company Boeing Aerospace Co has proposed the Dash 8 as a suitable platform for its Universal Display and Control System, to produce an ASW and maritime patrol aircraft. The Dash 8 Srs 300 in its latest configuration. 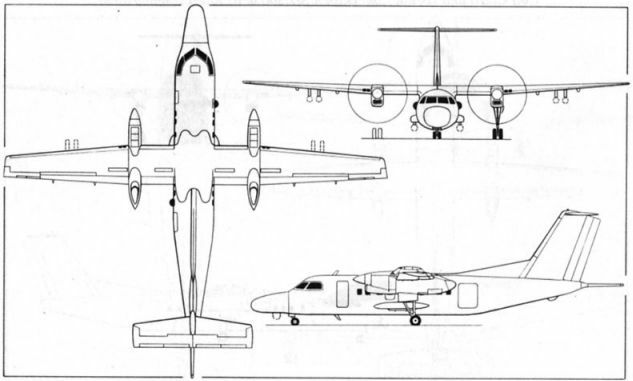 Embraer confirmed at Farnborough that it plans to develop the 19-seat EMB-123 as a successor for the Bandeirante, and is seeking joint financing with FMA in Argentina. 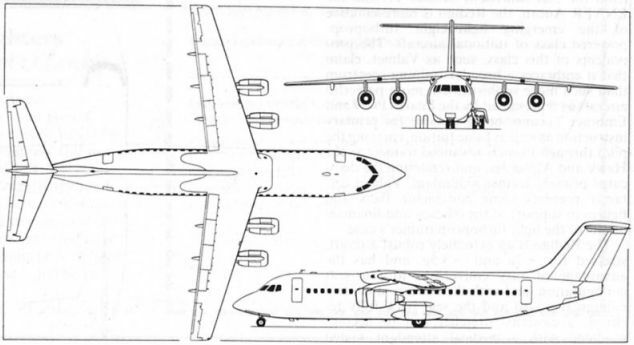 The British Aerospace 146 Srs 300 is now going ahead for a first flight next May, in the form depicted here, a little shorter than when first revealed two years ago. Westland Helicopters brought to Farnborough its recently-developed Super Lynx, the principal new features of which are a MEL Super Searcher 360-deg radar installation and provision for two Penguin long-range air-to-surface missiles to be carried. To be available in late 1988, the Super Lynx has increased fuel capacity, a higher take-off weight, updated avionics and a redesigned tail rotor with greater authority and reduced noise. 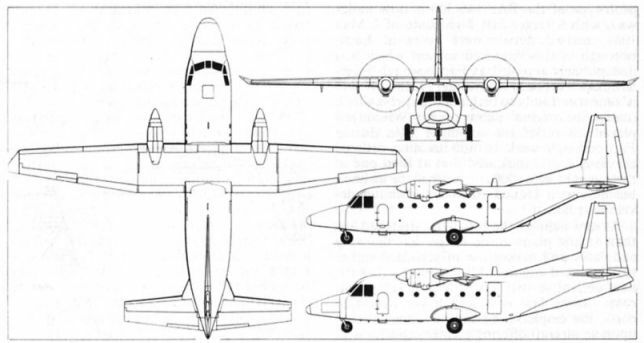 CASA brought two examples of the C-212 to Farnborough, including the Srs 300 demonstrator ECT-131 with its new wing-tips and lengthened nose. 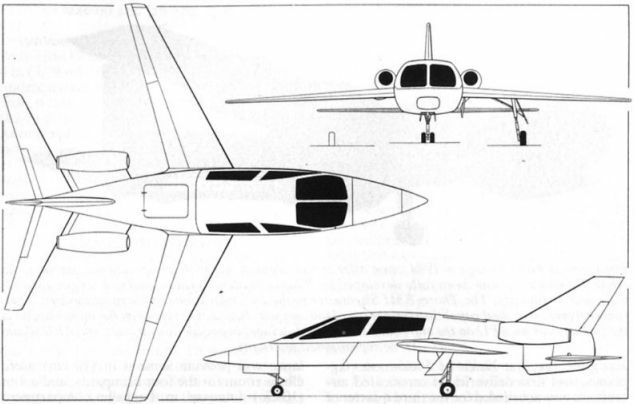 This aircraft is shown with the deeper fairing that can replace the ventral loading doors and ramp. 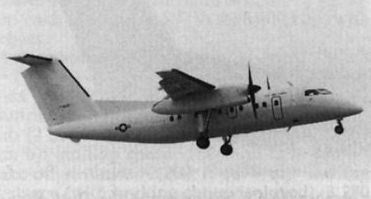 Also present was a C-212M (ECT-134) with nose radar and wing hardpoints. 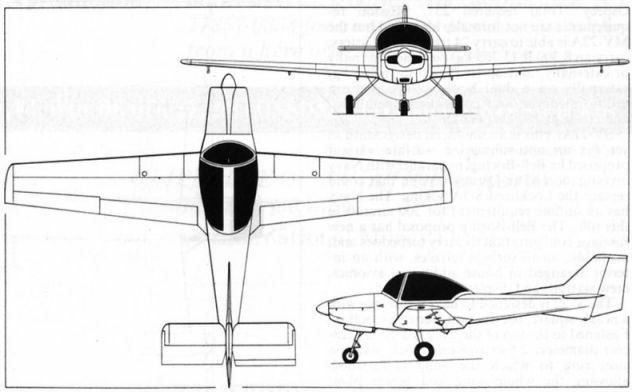 The CASA C-212 continues to sell well and is now offered in the uprated Srs 300 form, with new upturned wing-tips, a lengthened nose cone and an optional aerodynamic fairing for the rear underside of the fuselage, as shown in the lower of the two side views in the drawing below. The Trago Mills SAH-1 appearing at Farnborough for the second time, now has the backing of newly-formed Trago 86 and it is hoped that production will be started soon. 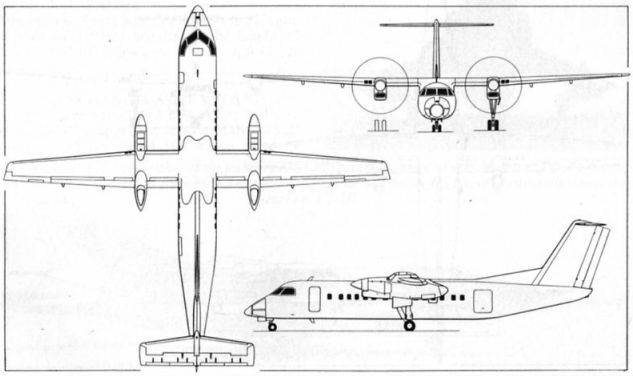 The Promavia Jet Squalus made its first public appearance at Farnborough, but has yet to fly. It is now being promoted in the US by Rockwell International. 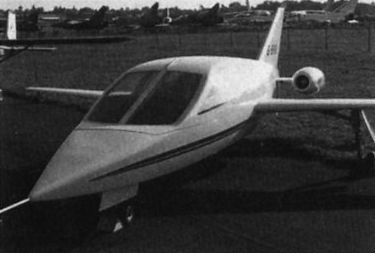 The Norman Freelance made its first Farnborough appearance, close to two years after making its first flight, and demonstrated the speed and simplicity of its wing-folding capability. 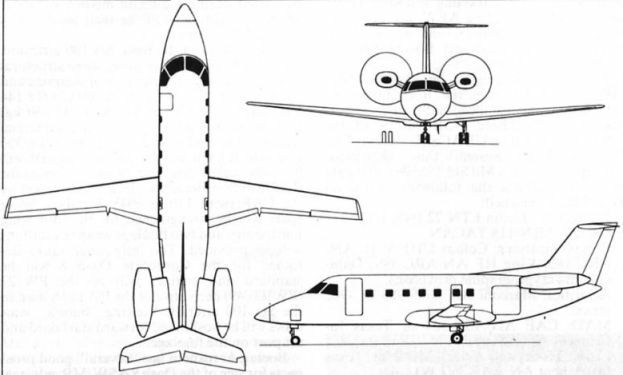 One of Farnborough's debutantes was the CMC Leopard, which has yet to fly. 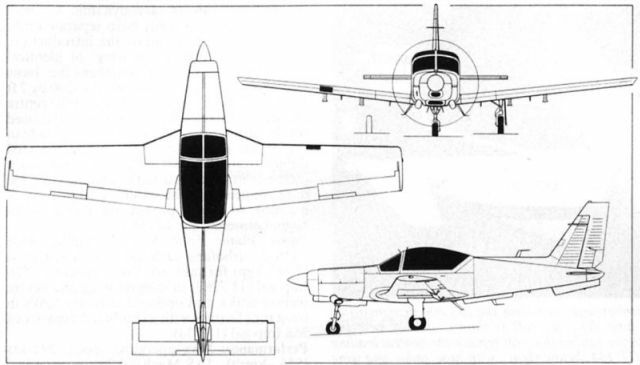 A very small four-seater, the Leopard is intended, when fully developed, to cruise at 435 kts (805 km/h) and to have a range of 1,500 naut mis (2 775 km).